The summer sometimes makes your dog’s food and water unfresh. With the fact that you cannot put your dog’s food in the fridge, you need to do something that can keep it fresh all the time, like a pet dish. 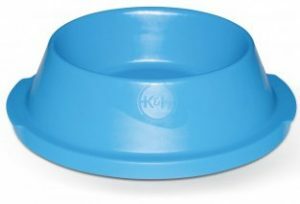 Well, we are so lucky to live in a modern world which we see many kinds of dog bowl that offer the certain feature. 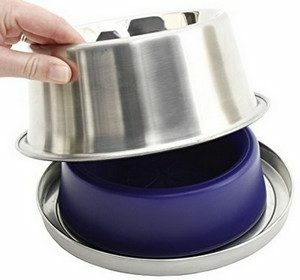 It is so lucky as well to find such refrigerated dog bowl in many online sellers. Let’s check some of the best here! At first, we thought it is a heated dog bowl, but we look at the feature that seems pretty impressive that can keep the water and food fresh for 14 hours. It is a durable dog bowl anyway with the sanitary stainless steel. Besides, you can totally trust your dog’s health for this brand as it won the Dog Fancy and Cat Fancy 2012 from Editors Choice Awards. Cause we all love the frozen food and water to enjoy the hot day, and your pets love it too! This bowl contains the non-toxic gel that keeps the quality of water and food. Besides, it is equipped with the rubber grip that prevents sliding. Apart from the goodness brought, the FrostyBowls has some drawbacks that are complained by some customers. A customer found rust on the edge after two days of usage. However, it might be due to wrong procedures. Another product that you can try is from Coolin’ Bowl. This can keep water fresh up to 15 hours without electricity. That’s why this is perfect pet dish for indoor and outdoor use. The dog bowl is good for travel which can hold water from 32 oz up to 96 oz. It is a powerful dog bowl. Never put this bowl in the dishwasher. It is hand-wash only! Take a bowl and place it in the planter and fill it with the cool water. This is a perfect way to provide a cool water as you worry if your pup chews the ice tube. Or, another way to try is taking the two bowls with different sizes. Fill the larger bowl with water and then whisk it using enhancer. 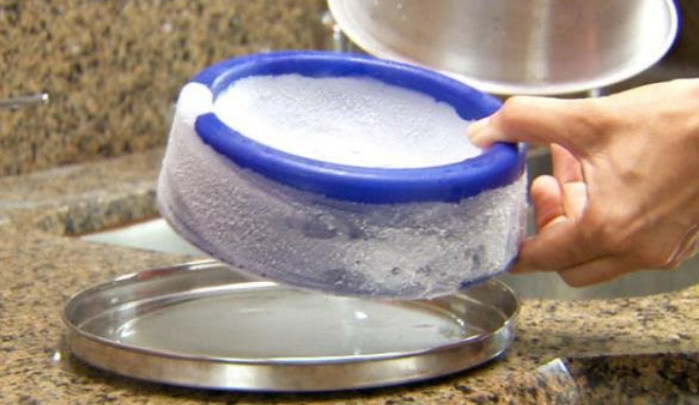 After that, place the smaller bowl inside the larger one that you have filled with the water. Mask it with the tape to prevent movement and fill again the gap between the bowl with water. Next, freeze the bowl overnight. At the morning, refill the smaller bowl with water and serve it to your dog. Well. That’s all our suggestion on how to keep the water and food fresh. You can buy those two products or try the D.I.Y project instead if you think you don’t like the products. Just keep in mind that giving the dog too much icy water is not that good.